Members of Aberfeldy & District Gaelic Choir triumphed again at the Provincial Mod held in Tobermory on the Isle of Mull, on Saturday 8th September. 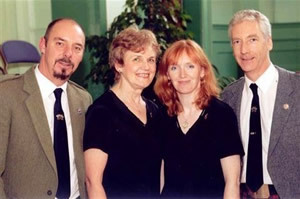 In the solo contests, Gilliain won both the Neil MacDonald Memorial Shield for the Oran Mor competition, and first prize in the Local Song class. Brian was a commendable second place in the Learners' competition.